INTRACRANIAL PRESSURE AND TEMPERATURE MONITORING CATHETER HpPic provides continuous monitoring and measurement through pressure and temperature sensors placed on the distal tip, delivering direct and precise monitoring at required application site. The pressure monitoring measurement technology with semiconductor of reduced size allows excellent stability and high level of precision. The temperature measurement achieved through thermistor guarantees a rapid thermic balance and reliability. The combination between the pressure and temperature sensors and signal treatment with microprocessor system guarantees highly precise records and reproduction of pressure curves throughout continuously monitoring. 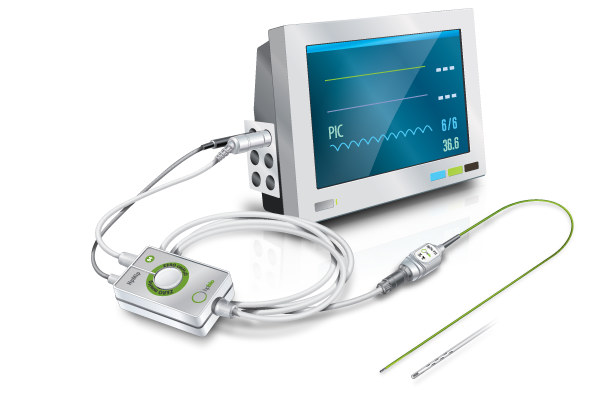 The monitoring catheter is used with the Interface Module HpMip allowing connection with several models of invasive pressure monitors available in the market, avoiding the need for specific monitors. 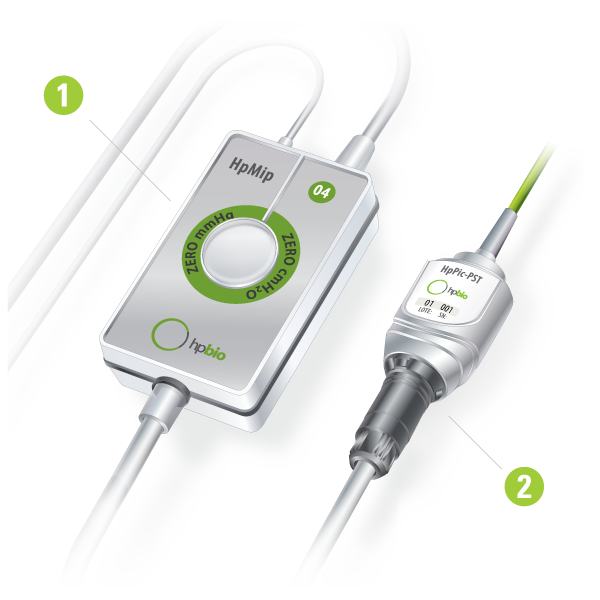 The Interface Module HpMip has a zeroing button to atmospheric pressure and integrated extension cables to the monitoring catheter and the monitor. The Interface Module must be selected according to the model/brand of the pressure monitor available at the hospital for compatible connections. Connector with safety lock to prevent unintentional disconnection. The catheter is internally built with wires for transferring data, bringing flexibility without any risk of rupture and functioning interruption. The disconnection and connection is possible without re-zeroing as the calibration parameters are kept stored. 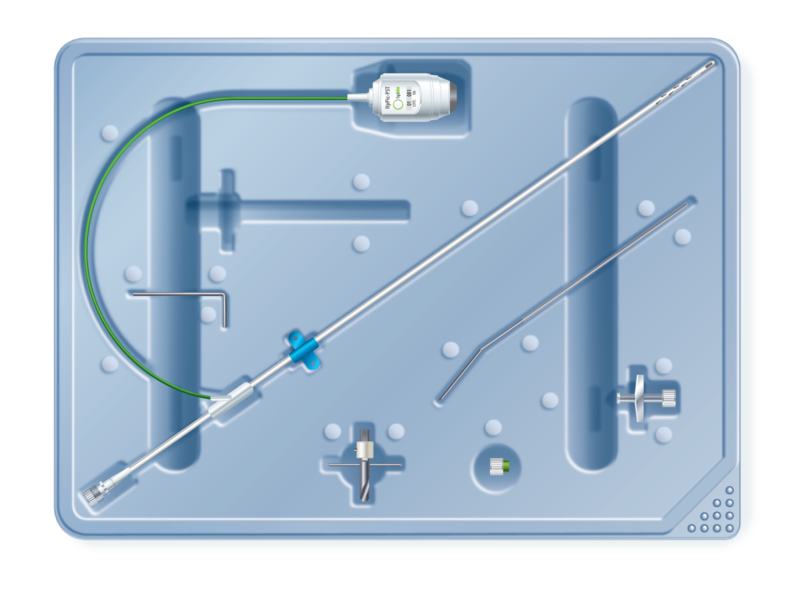 The catheter is available for PARENCHYMAL/SUBDURAL or VENTRICULAR measurement with three configurations of Introduction Kit. Manufactured in polyurethane, with external diameter of 5F. Marked every centimeter to control the introduction depth. 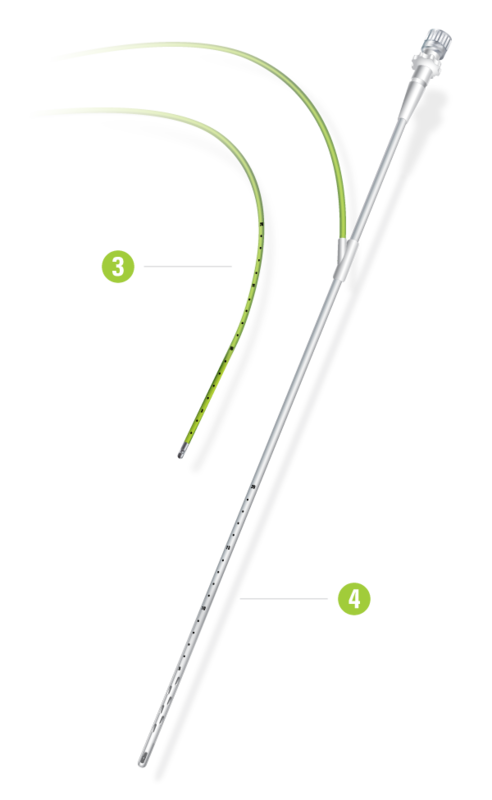 The catheter flexibility allows subcutaneous tunneling without any risk of ruptures. Manufactured in medical grade silicone with external diameter of 9F and 35 cm of length. Marked every centimeter to guide the introduction depth. Features specific lumen for liquor drainage allowing attachment to an external ventricular drainage system during the monitoring procedure. The catheter flexibility allows subcutaneous tunneling with no risks of rupture.